Six of a family drowned after being swept away in a nullah in Sorada, three persons died in Patrapur, one in Chikiti and a newborn died in Ganjam block. BERHAMPUR: IRATE locals of Nuapada in Ganjam district on Saturday blocked the road by burning tyres, alleging that no relief has reached them three days after the calamity. People of Chandapur and Lalmenta under Chitiki blocks also alleged the same. According to official reports, six of a family drowned after being swept away in a nullah in Sorada, three persons died in Patrapur, one in Chikiti and a newborn died in Ganjam block. 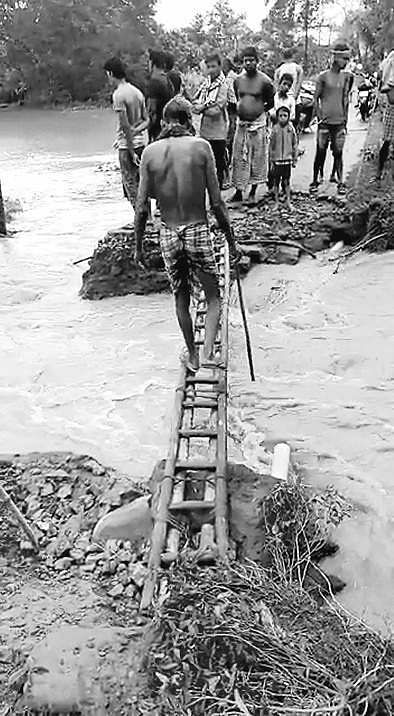 While almost all the blocks are affected by cyclone and floods, the worst affected areas are Aska, Bhanjanagar, Soroda, Purushottamput, Seragada, Chatrapur, Rangeilunda, Patrapur and Chikiti blocks. While Aska town is now accessible, Aska NAC and 17 panchayats of Aska block are waterlogged. 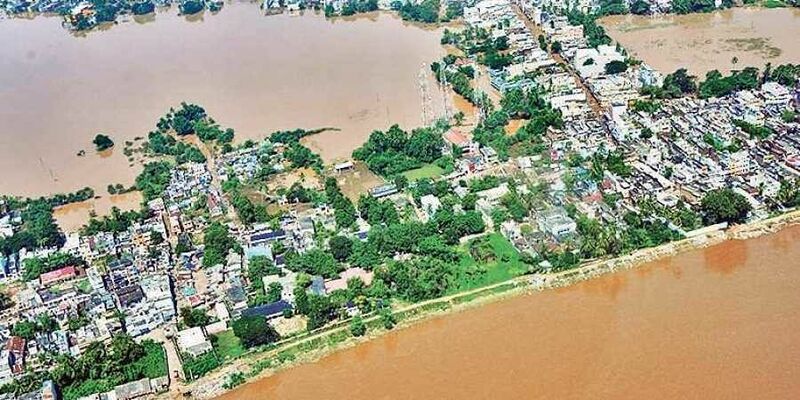 Sources said the flood created a new sea mouth near Gokharkuda which helped in draining out the rain water. However, this has brought in garbage, shrubs and trees that were uprooted in the cyclone to the breeding site of Olive Ridley turtles. The seven-km stretch of Rushikulya beach near Gokharkuda is full of six-ft-high deposits of shrubs and trees. Meanwhile, after the ariel review by Chief Minister Naveen Patnaik, Ganjam Collector Vijay Amrit Kulange convened a meeting of district level officials to review the situation in the district. He said at present, detailed assessment of loss is not possible. He said 14 blocks in the district have been affected by cyclone and flood and drinking water supply to the urban areas will be restored by Saturday evening.